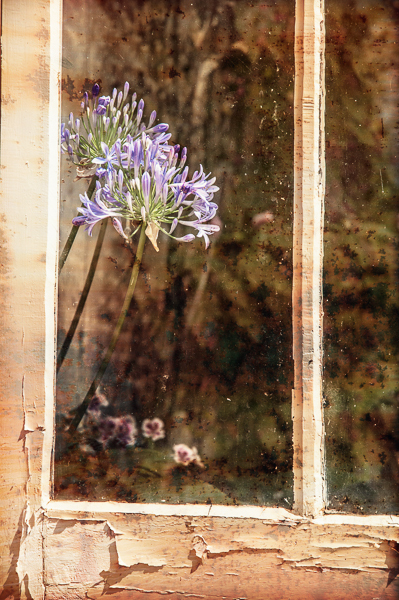 This flower seems to be looking through the window and saying . . ‘Let me out!’ The contrast between the bright, lively flower and the dirty glass and flaking paint is what drew me to making this shot. great photo with a fitting headline and text. love it. Thank you very much, glad you like it. That flower is so sharp considering it’s shot through glass. A clever contrast and an apt title.